The takeaway is a concept in the Netherlands since the 80s, but the dishes we like to order there - foe yong hai, cow loe yoek, babi pangang - are not necessarily representative of traditional Chinese cuisine. 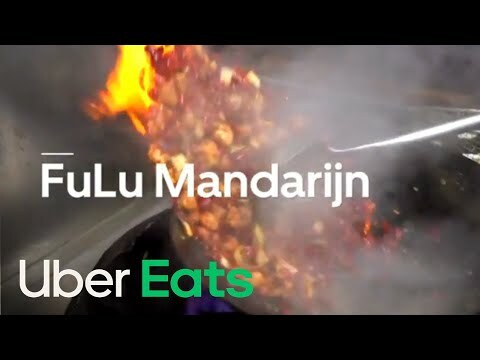 At FuLu Mandarijn , they want to change that by only cooking with authentic ingredients and methods of preparation. And the results are phenomenal. The chefs at FuLu Mandarijn have more than 40 years of experience in preparing traditional Chinese dishes , with a special focus on Sichuan. This southwestern province is known for its good, spicy food, which is often prepared with the sichuan pepper which gives off a distinct, aniseed flavor. You can also find this in the dishes of FuLu Mandarijn. All dishes are prepared with Sichuanese herbs imported from China whose flavors will amaze you. According to tradition, in the cozy FuLu Mandarinj, you can open large tables where you share different dishes with your fellow guests. Food tastes much better when you share it, according to Chinese philosophy. Before you start ordering enthusiastically, first a small warning: the Sichuanese cuisine is generally a lot spicier than those from other Chinese regions. If the food itself is not prepared with spicy peppers, a spicy sauce is often poured over it. So when ordering, look carefully at the ingredients if you do not like spicy. There is a soup in advance for Chinese food. The famous Sichuanese spicy-sour soup with chicken, egg and shiitake has to be tried anyway. Then it is time for a selection of main courses. We would go for the cooked tenderloin in red chilli sauce, Chinese fungus with coriander and stir-fried pak choi with garlic and oyster sauce and of course a portion of rice. In for some adventure? Then order the stir frog legs. And then of course there are the specialties that are recommended by the chefs themselves in the above video. Pretty small chance that you make the wrong choice. Pulled? Visit this stylish, innovative Chinese restaurant at the Rokin for a special night out. Or grab your phone and use our app to have it delivered to your home. We do that with love! Check this link for the original article by UberEats. Home › News › Taste the Sichuan cuisine - get to know Chinese food again!